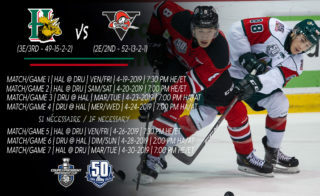 History will be written starting this weekend at the Marcel Dionne Centre as for the first time, the Drummondville Voltigeurs will take on the Sherbrooke Phoenix in their best-of-seven President Cup Quarter-Final series. 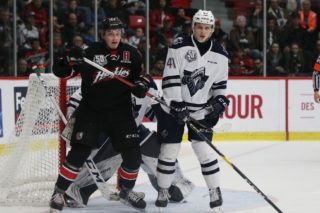 The Voltigeurs, after posting the league’s second-best regular season record with a 52-13-2-1 slate and 107 points, defeated the Gatineau Olympiques in the first round of the 2019 postseason, punching its ticket to round two for the second consecutive year. 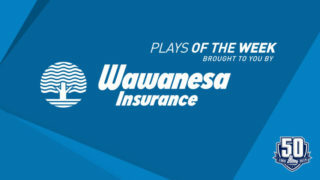 The club will be aiming to advance beyond the Quarter-Finals for the first time since 2010, when it fell in five games to the Moncton Wildcats in that year’s Semi-Finals. The Volts last reached the President Cup Final in 2009 – their fourth trip to the championship round overall – when they took their first league title in a seven-game thriller over the Shawinigan Cataractes. The Phoenix are also making its second straight appearance in the President Cup Quarter-Final after downing the Blainville-Boisbriand Armada in five games. 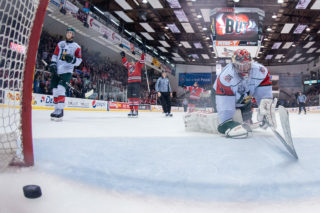 Last year, the franchise celebrated its first playoff series win when they knocked off the Rouyn-Noranda Huskies in a seven-game, first-round encounter. They were subsequently swept by the Acadie-Bathurst Titan in the 2017 Quarter-Finals. Although the Phoenix are still awaiting its first trip to the QMJHL Semi-Finals, the city of Sherbrooke has a rich history of playoff success in the league, having been to the President Cup Final on seven occasions, most recently in 1993 (Sherbrooke Faucons). The area last enjoyed a league title when the first installment of the Sherbrooke Castors was still in town back in 1982. 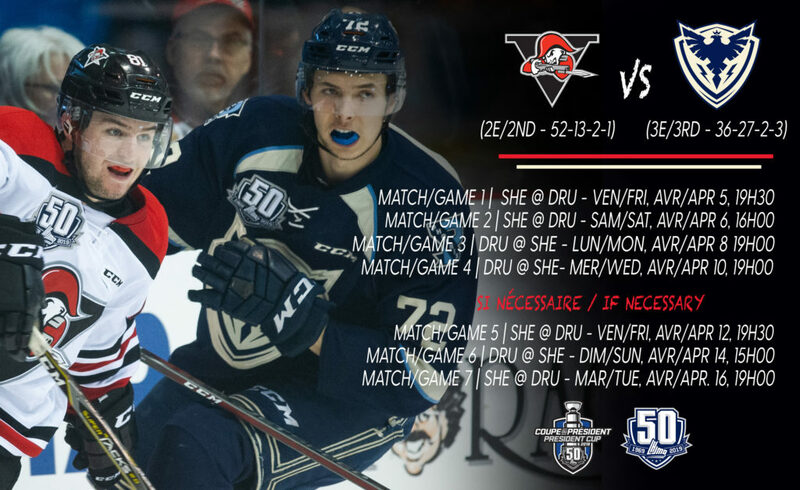 A big reason why the Voltigeurs wrapped up top spot in the Central Division during the regular season had much to do with their success over division runner-up Sherbrooke during the campaign. Drummondville went a perfect 6-0 against the Phoenix in 2018-19, outscoring their Route 55 rivals 33-9 in the process. The most recent of those clashes came on the final day of the regular season, a 4-2 win in Drummondville punctuated by a pair of goals plus an assist from Maxime Comtois. Drummondville’s powerful offense, which led the league with 338 goals during the regular season, maintained a strong presence during their first-round victory over Gatineau, averaging over four tallies per contest. Leading the charge, as was the case during the regular campaign, was Detroit Red Wings 2018 first-round selection Joseph Veleno, with five goals, including a pair of game winners, and nine points in the series. He would prove to be one of five players that would average a point-per-game or more during the series for the Volts. On the back end, Nicholas Beaudin (2G, 2A) and Gregory Kreutzer (3A) set the pace. Between the pipes, Anthony Morrone was superb in place of injured started Olivier Rodrigue, posting a league-leading 1.81 GAA, as well as one shutout, during the opening round. Much like the Voltigeurs, the Phoenix also received a large boost from their leading scorer from the regular season, Samuel Poulin, who matched Veleno with a five-goal, nine-point performance in round one. Also leading the way offensively were Felix Robert (3G, 5A) and Alex-Olivier Voyer (1G, 6A). On the whole, however, it was offense by committee as the Phoenix equalled the Voltigeurs for goals in their first round series with 23. In nets, trade period acquisition Dakota Lund-Cornish made his debut as a starting goaltender in the postseason and did not disappoint. Entering round two, he sits third in the league in both GAA (2.02) and save percentage (.925). Like his counterpart Morrone, he too pitched a first-round shutout. Though the two cities boast an extensive history of play in the “Q” under various teams, only twice has a team from Drummondville faced a team from Sherbrooke in postseason play. 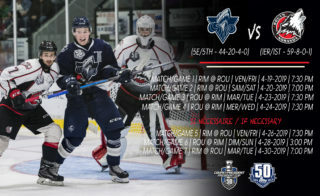 The last such occurrence was in 1996, when the Voltigeurs and Sherbrooke Faucons were part of a first round, round-robin series involving four other clubs. 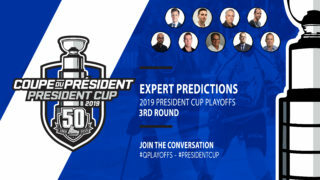 Before this season, the only time the two cities faced one another in a best-of-seven series took place all the way back in 1971, when the Sherbrooke Castors ousted the Drummondville Rangers in the league Quarter-Finals, four games to two.